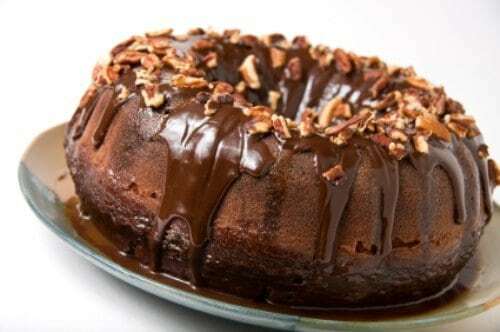 This To Die For Chocolate Cake is an easy chocolate bundt cake to make. In a large bowl, beat first 6 ingredients until well blended. Mixture will be thick. Stir in chocolate chips. Pour into greased bundt pan. Bake at 350 degrees for 55 - 60 minutes. Dust with powdered sugar or drizzle with a glaze. This cake was to die for! My friends loved it!